You might remember that European carrier Vodafone told its subscribers with the Apple iPhone 4S to refrain from updating to iOS 6.1 because of connectivity issues that owners of the handset were experiencing with the new OS build. After installing the update, some Apple iPhone 4S users could not connect to the internet, make or take phone calls, or send and receive text messages. 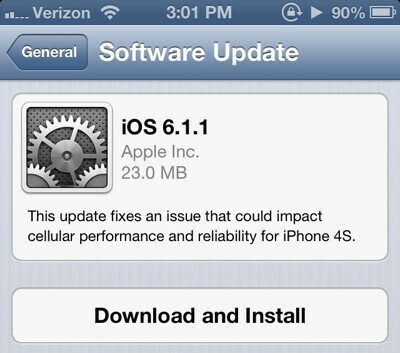 So Apple sent out a repair, iOS 6.1.1 which was supposed to take care of the new problems that popped up. And it did, but at the same time it left behind a whole new set of issues. Apple iPhone 4S users have been posting on the Apple Support Communities forum that since installing iOS 6.1.1, battery life has been awful and the handset has been running hot. One iPhone 4S user reports that his battery life has dropped since the update from 7 hours to 5 hours while another reports that battery life on his iPhone 4S has dropped to 4 hours since the update. At least the connectivity issues seem to be repaired! Besides the initial problems that were discovered with iOS 6.1 for the Apple iPhone 4S, other bugs have been discovered with the OS build such as the inability for users to sync with Microsoft's Exchange email service, and another that allows anyone to break into your Apple iPhone even if locked using a passcode. So we should see another update to take care of those problems with iOS 6.1 and the new battery issues that have sprung up on iOS 6.1.1. Apple is said to be aware of the problems which is at least one step in the right direction. Stay tuned! lol. I'm better off with the reliable updates, Sony provides. Sony's last update on many devices hosed camera. Except when Apple updates something, everyone gets it. When they announce it, we know when we are going to get it. why are you so apple biased??????? What's the point of getting an update if you're not able to get all of the features that comes with it? iPhone 4 users are using Maps without flyover, and Apple's biggest selling point of their iPhones, Siri. List 5 "updates" the iPhone 4 got that are actually usable when updating to iOS 6. None.. This is one thing that makes me not to prefer apple.. Awesome! Everybody gets the new bugs! Proud day for your parents. lol every "update" you get on your last gen iPhone makes it nearly unusable. But hey whatever rocks your socks man. But you never get everything. Features get stripped off the further back you go in generations. 6.1 destroyed 3g and WiFi and now 6.1.1 destroys battery. Apple iPhone,the pinnacle of technology. Apple are probably hoping half of the affected iPhone 4s users just give in and go out and cough another 600 bucks for an iPhone 5! I've used an iPhone for 2 days and returned it. iOS is pure garbage.. The learning curve on it is next to none and the UI feels like a child's coloring book. If you're looking for a real user experience with great battery life, go with Samsung Galaxy S3 / Note II. You mean you weren't happy with a pretty novelty app launcher? Shocking! So Apple acknowledges the problem and you dont? You have taken fanboyism to a new level. Dude, it was sarcasm. Did you not catch the last sentence? Or the first sentence? knowing galitoking, that was not a joke. No, keep your iPhone on charge...it'll drain away. My friend's 4S are prone crashes every now and then after she update her 4S with 6.1.1. 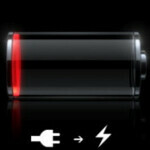 "Be back gotta charge my iphone again........." I think... I think he was making a joke. Bravo sir, bravo.